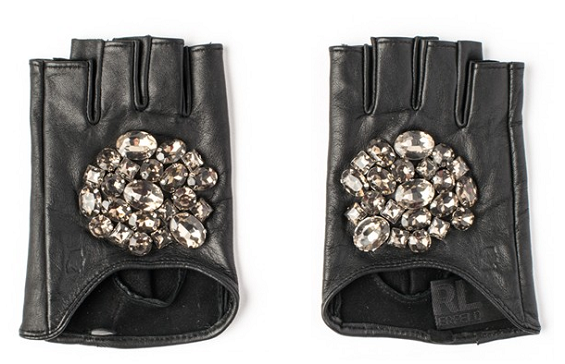 Sleeveless leather moto style gloves are worn to make a fashion statement especially if they are embellished some crystal gems. OHHH!! love those they are SOO daddy karl!! i love the glitz and bling! !